Elope to New York! 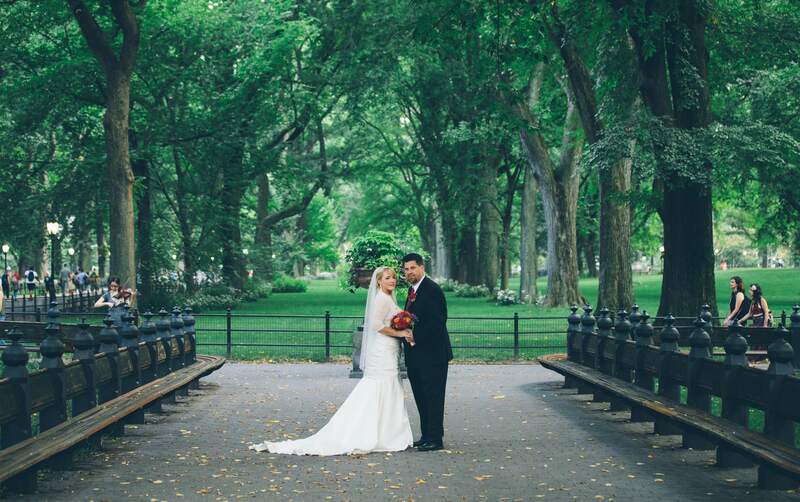 Book a Central Park Wedding Package! Affordable, fun, and stylish. We have great Elopement and Wedding location ideas. Elopement could be your wedding style! Get married and have an intimate elopement wedding at any NYC elopement location. Book your affordable, all-inclusive NYC wedding package. We are available for last-minute bookings. 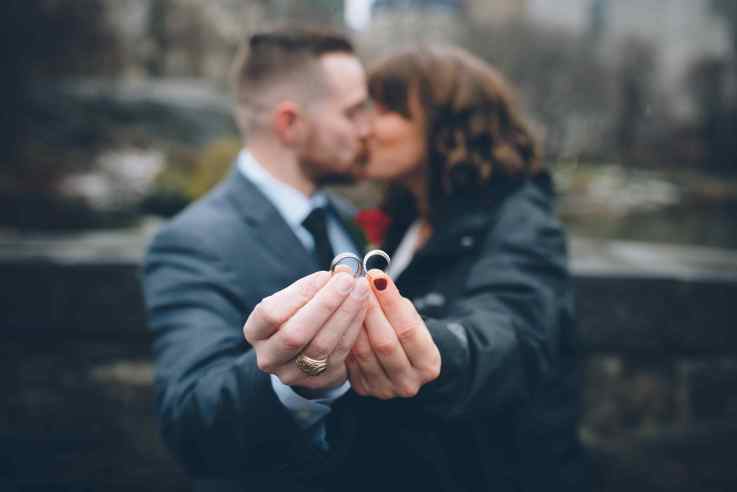 Thank you for choosing NY1 minute for NYC’s experienced and affordable elopement photographers and marriage officiants. and guide you through the most romantic settings in Central Park. Book your all-inclusive elopement package today and have your Central Park wedding! photographers will capture your ceremony and our NYC wedding officiant will perform the ceremony. Such an affordable way to get married! Build-your-own elopement package and add the services that you need. The beautiful Gapstow Bridge is a perfect location for a Central Park wedding ceremony. 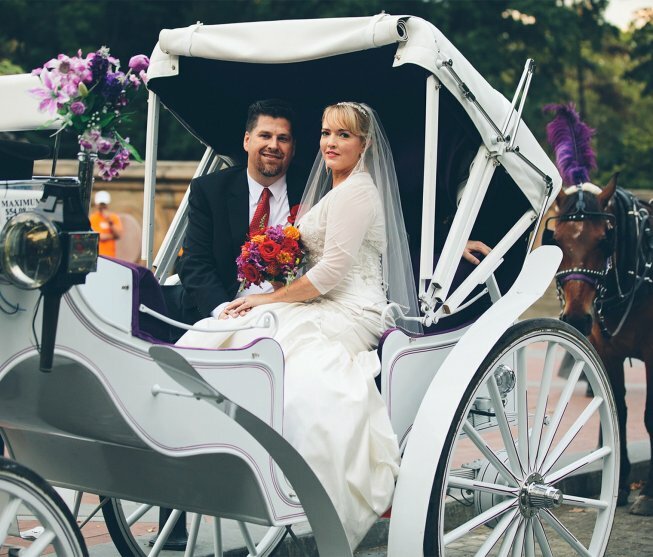 Our NYC wedding officiant will meet you at your hotel or at Central Park. 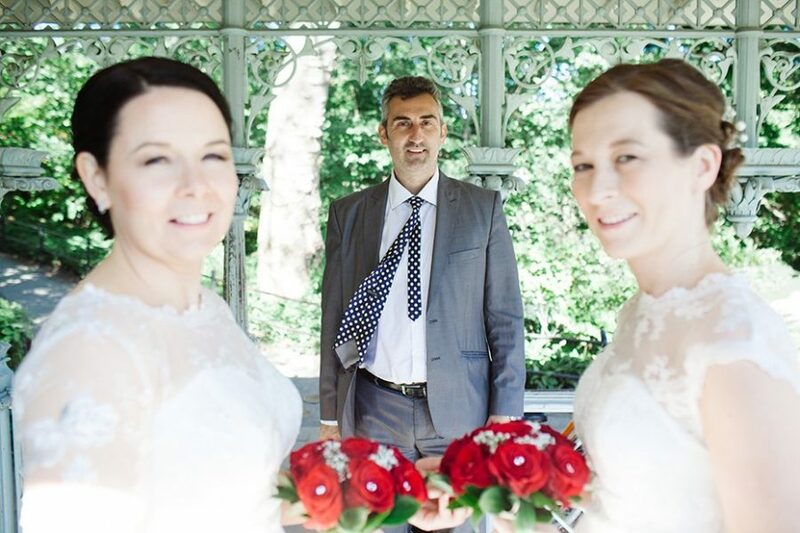 Our wedding photographers will capture the spirit of the moment. Don’t worry about the weather, NY1 Minute is ready for anything! Some of our most favorite wedding photos are happy couples dancing in the rain in Central Park! 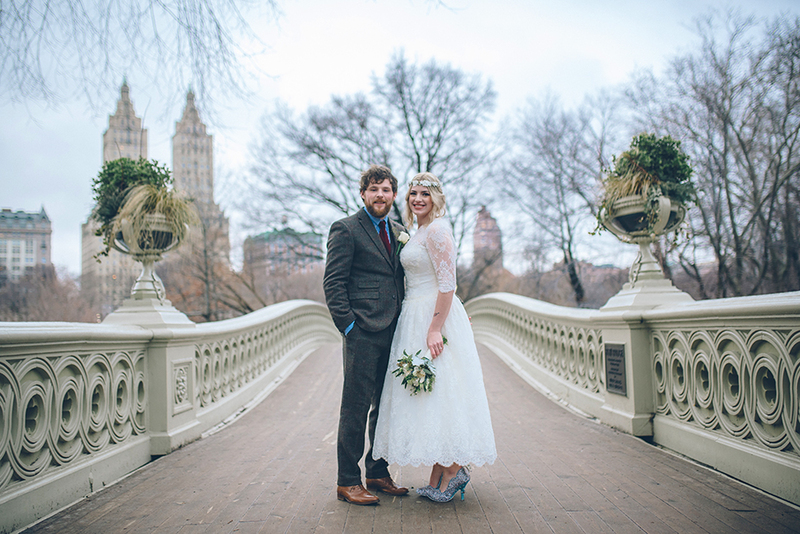 Elope to NYC with a European feel. 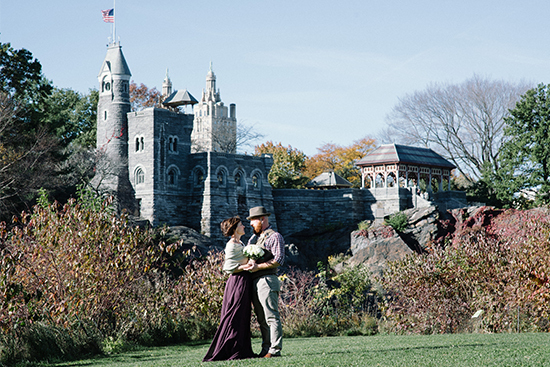 The majestic Belvedere Castle is the perfect setting for a fairy-tale elopement or small wedding in Central Park. Wagner Cove is another classic Central Park wedding location. Romantic and timeless, you will have a beautiful Central Park wedding ceremony if you choose Wagner Cove. The classical architecture of the Bethesda Terrace and Fountain makes for a dramatic Central Park wedding ceremony location. An outstanding balance of NYC and neoclassical architecture, your wedding will feel royal. 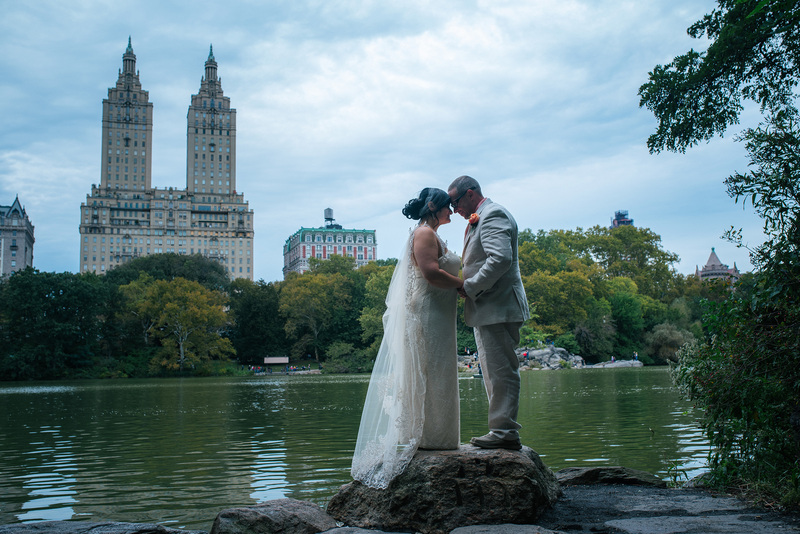 Elope to NYC at the Bow Bridge and experience a beautiful Central Park Wedding. 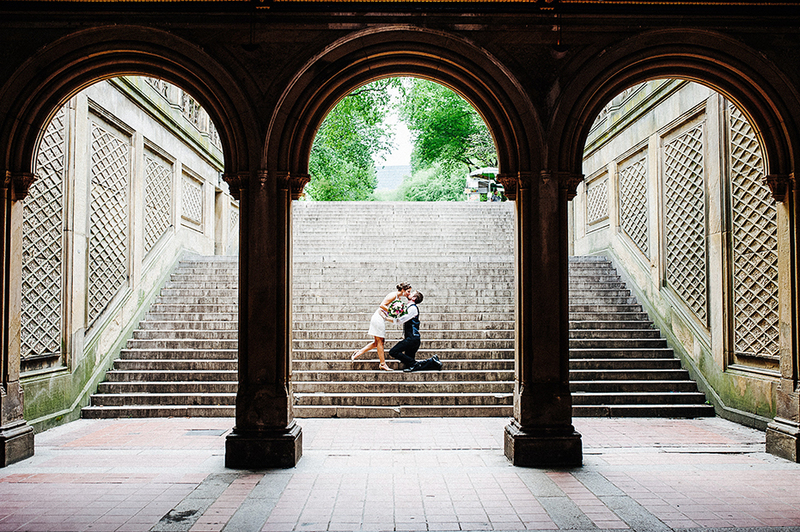 The Bow Bridge is a classic NYC wedding location. Getting married in NYC at the Shakespeare Garden. We will even bring along some sonnets for the ceremony! Elope to NYC and enjoy an amazing celebratory meal at one of the most famous restaurants in the world. We are a couple flying to NY on thursd 18th Oct from London. We have almost booked our own officiant who is free on Monday 22nd Oct (noon ish). We will have our 14 year old daughter as our special guest also. That’s us! So we would like a photo shoot of the ceremony, us two and the three of us acting naturally in at least one urban location/ grafitti/ bridge as well as the park probably for the ceremon itself. We are looking at NY or Brooklyn but a little fearful of a dreadful day of rain and what Plan B we should put in place should that happen. Would it be you or your son who would take the photos I wonder? Did I read somewhere that you charge a little extra to make the photos extra glossy/ sharp/ special. I can’t see where that is written this morning (we’re 5 hours ahead of you. The other service we’d like to learn more about is your collecting the long certificate for us after the wedding is finished. What do you charge for that service as it sounds helpful!